The individual marking of products and packaging is a fundamental production process. Markings provide manufacturers and buyers with a wide range of information regarding a product’s suitability, origin and time of production. National and international standards and regulations deal for example with the marking of VIN (Vehicle Identification Number) on vehicles. Röltgen Marking Systems has been working for 75 years in the sector construction and manufacture of tools for the individual marking of industrial products of all kinds. 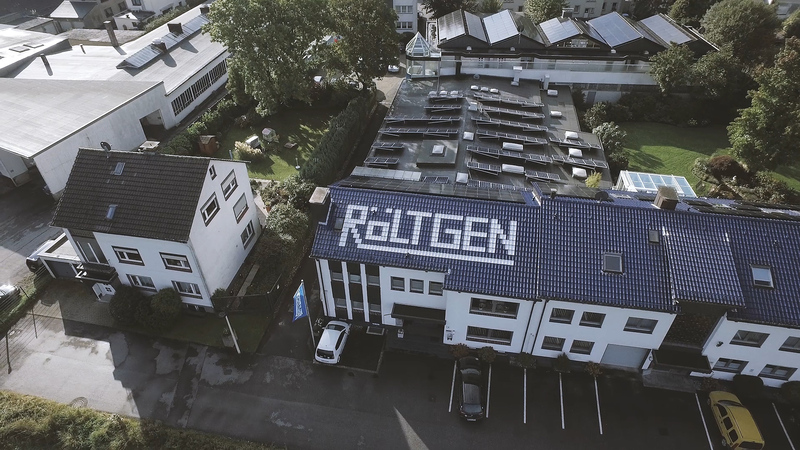 As a family-owned medium-sized company now in its third generation of ownership Röltgen Marking-Systems has grown to become a leading global manufacturer and reliable industry partner. Röltgen marking solutions are used in the automotive, aviation and space sectors, in steel and machine construction as well as in modern packaging machines used in the pharmaceutical, food and cosmetics industries. In addition to the broad standard product range, around 80% of our products are custom, made-to-order items. Our products are “Made in Germany” and produced by highly qualified employees using cutting-edge machinery. Pipes, slabs, moulds, turbine blades – as you can see from our product range, the palette of possible product types and shapes is multifaceted. Contact us. Röltgen Marking Systems wants sustainable production! It is not a coincidence that environmental sustainability and the responsible use of resources are central to our entire production process. Many years ago, Röltgen took the decision to install an electroplating waste water processing system. In addition to this, we use a rain water collection and treatment system with a capacity of 30,000 litres and a 700 m² photovoltaic plant to make our cutting-edge production facility an environmentally friendly one. With the change to green energy Röltgen cut approx. 87 tonnes of CO2 emissions. This is basically equivalent to the saving of around 4348 trees. The company has been certified according to DIN-EN ISO 9001. Production is carried out exclusively in Germany. Röltgen Marking-Systems prides itself on providing apprentices with recognised on-the-job training (approx. 10% of the staff) and on providing our employees, many of whom have been with us for years, with ongoing professional development. In order to secure a skilled personnel base now and into the future, as part of its training measures, Röltgen Marking-Systems works in close partnerships with schools and universities. Last but not least, the company has invested considerable enthusiasm and energy into the project “Radsport für jedermann” (“Cycling for Everyone”): the international Röltgen cycling team. Our motto: the journey is the goal!